Plex is an amazing streaming media tool for cord cutters or anyone who wants a multimedia server or DVR to record live OTA TV. But did you know it supports podcasts, too? If you’re a cord cutter, Plex is a popular media server that allows you to stream your video, music, and photo collection to your TV and mobile devices. It can also act as a DVR and record live OTA television with Plex DVR. Another lesser-known feature is the ability to play podcasts. The podcasts feature is still in the early phases and only supports the audio format, but video is coming. Here is a look at how to use it to manage your favorite shows. 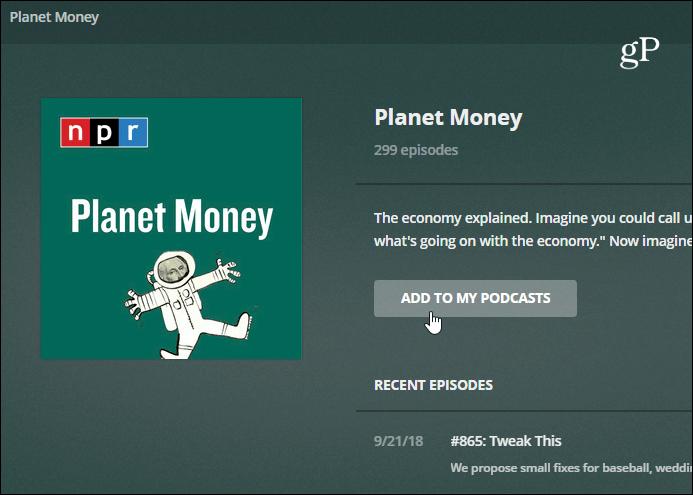 On the web, you’ll find Podcasts under the Online Content section in the right panel. 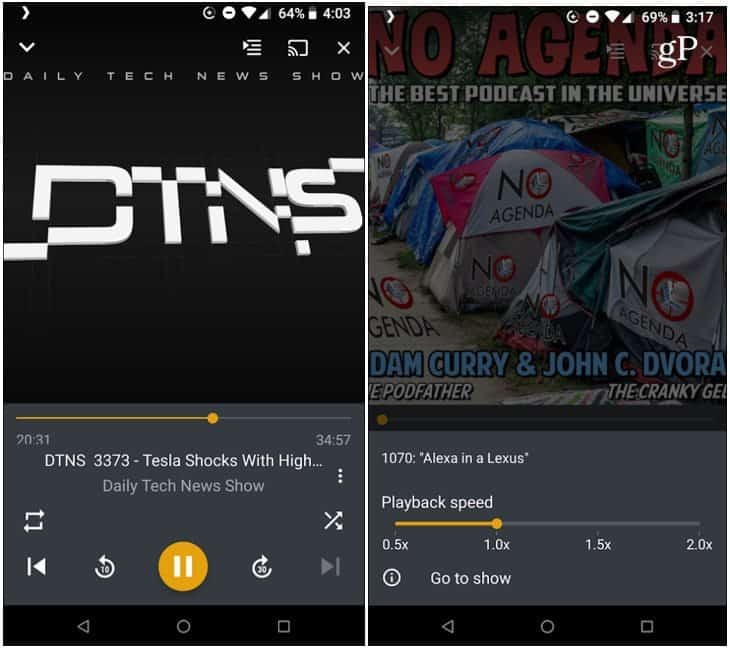 Using it is straight-forward and it works as you’d expect from podcast managers such as Apple Podcasts, Overcast, or the new Google Podcasts app on Android. It displays recommended shows, trending, and popular podcasts, and you can, of course, search for a specific title. 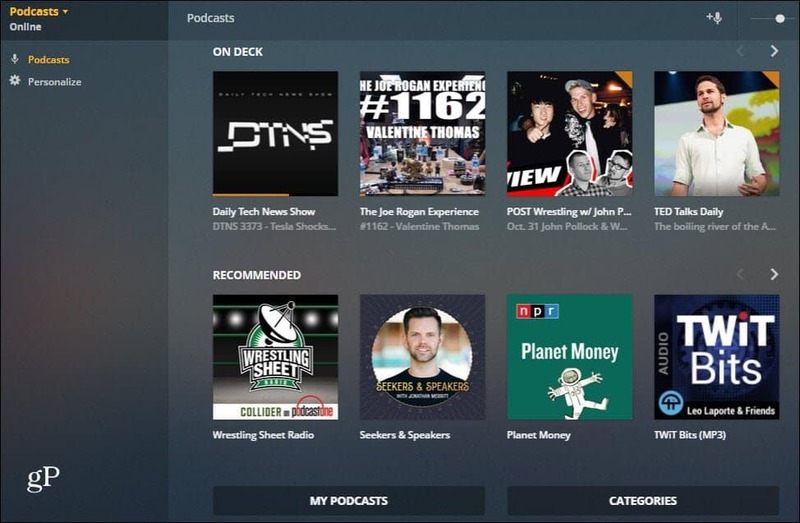 It also has a section named “On Deck” where episodes for shows in the “My Podcasts” section that are in progress or next in line. Just click or tap the podcast icon to get the description of the show and from there you can add it to “My Podcasts” section to subscribe. Or you can click the menu icon on the show’s thumbnails and choose “Add to My Podcasts” from the menu. If you can’t find a specific podcast title, no worries, you can add it manually. To do that, you will need to use the web interface and click the microphone icon in the upper-right corner and then add the URL to the show. You can typically find the podcast RSS feed link on the show’s website. 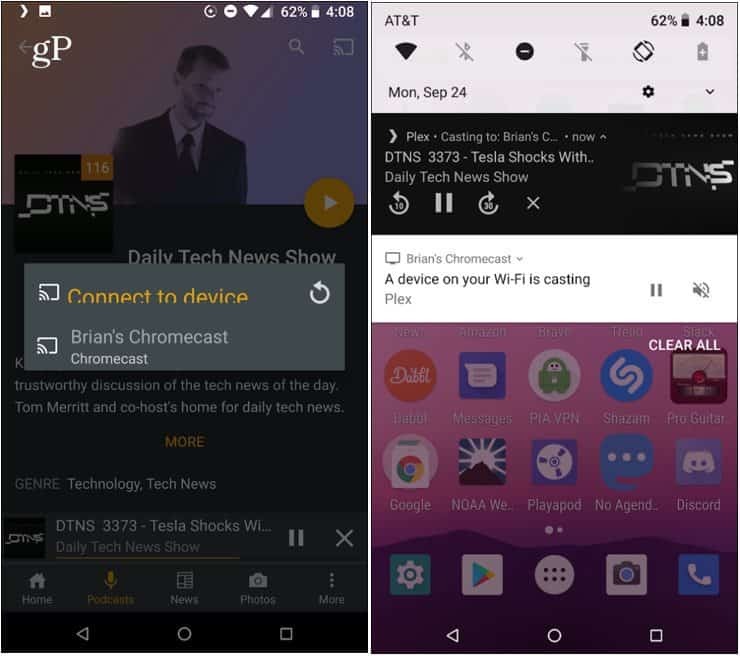 Of course, since Plex is available on virtually every platform, your podcasts will sync to those devices, too. For example, here I am using it on Android. It has the usual playback functions, you can download the show, skip to the next one, view show description, adjust the playback speed, and more. Like I said earlier, the UI is intuitive and using it is simple and straight-forward. But the controls and navigation is going to vary a bit depending on the device you’re using. And with Android, you can send the audio to a Chromecast or other compatible speaker or device via Google Cast. Or, on iOS you can use AirPlay to send it to a compatible speaker or device. Overall, Plex is platform agnostic and quite versatile — it even works with PlayStation, Xbox, and your Sonos system. Whatever type of device or ecosystem you’re using, there is a way to Plex with it. 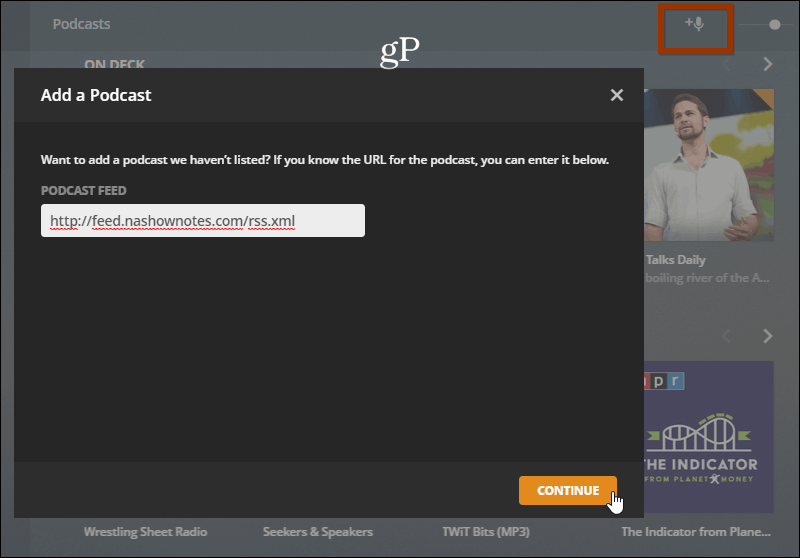 While most Plex users will have the Plex server set up, the interesting thing with podcasts is you don’t need it. Plex for Podcasts works without even having the server set up. Also, since Podcasts are generally free, you don’t need a Plex Pass subscription to use the feature. With the addition of podcast and DVR support, Plex is a great tool for managing all your multimedia needs. If you’re and Apple TV owner, check out our article on why Plex is a killer app for Apple TV.